When you shop for presents, kids are a harder target than adults. Adults have a defined taste, which is easy to decipher. Kids, however, are unpredictable and moody, for what is their absolute favorite today, may just be something extremely boring tomorrow. Picking the best present for kids is an action that requires much planning and thinking. Keep in mind the following things when you shop for kid’s present. Pick something according to their age. Different toys are available depending on the age group. The kid in question may be an infant, a preteen or a teenager. This tip is relatively simple as toys mostly have an age group defined for their usage. This step is very significant for safety reasons as infants or toddlers might end up swallowing the small parts of a toy that is intended for children older in age. Safety should be given top priority, particularly if you are picking a present for a very young kid. If you are planning to buy books, then seek help from the salesman/lady to help you determine the right book for the right age. If you are planning to buy clothes or shoes, then go in for a size larger than their current, for with kids, the rate at which they grow, their clothes won’t fit them in a year’s time. Choose something of their choice. You should have at least some basic knowledge of the kid’s likes and dislikes. 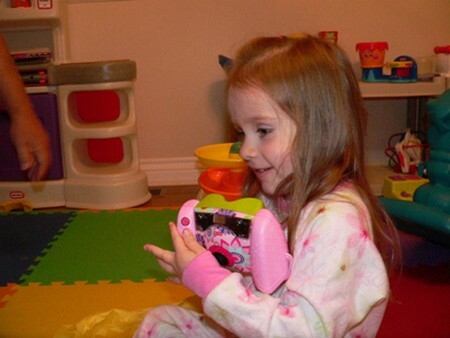 Consider the kid’s gender, hobbies and personal preferences while picking a present. This will ensure that the kid will really appreciate your present. Ask them some subtle questions in which they may hint if they wish to have something in particular. You may even ask their friends for the same. You have to play the role of a detective and know the secret wish of the kid. Also keep in mind that the toy bought should not cause a tiff between the siblings of the kid, if any. All kids are very possessive about their toys and a present appealing to every kid in the family might not be such a good idea. You have to decide if you wish to buy the kid a gift that he can share well, or if you prefer buying all the kids the same gift with slight variations for each. Select something productive. You may be tempted to buy the toy of the season and spare yourself the hectic search for something actually useful. But such toys have a novelty that wears off soon enough, and then ends up being discarded. Good toys will be those that help the kid to learn new mental, social or physical skills in a fun and amusing way. The present you give should foster some form of development, like a bicycle, intelligent board games or creative coloring books. These will make sure that the kids will have lots of fun while doing something productive at the same time. Remember, for a kid, the best present is not the one that is the most costly, rather the one that he plays with the most. Discuss what you may give and what can be ignored with the kid’s parents to get a better idea. Do not forget that childhood is when a child grows rapidly, physically as well as mentally. So presents should be so selected for kids that not only cause them to have fun but also instill in them skills or talents that are significant for their future. Give the kids the chance to enjoy as much with their presents as you did when you were kids.